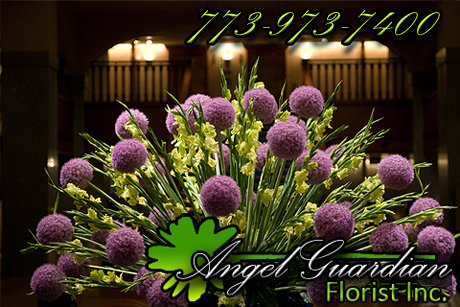 Angel Guardian Florist, Inc. provides business owners in the Chicagoland area with distinguished urban landscaping, interior landscaping, and on-going maintenance gardening services for office and corporate environments. From enhancing business meetings, trade booths, and corporate events with grand floral displays to adorning building lobbies, offices, and conference rooms with subtle botanical details, our expert florists will design and decorate your corporate environment with the most gorgeous plant and flower arrangements that match your specific style and taste. Whether you require urban landscaping or interior landscaping solutions, our creative team of florists will absolutely enhance your corporate environment and lift up your employee and customer spirits to new heights. And as Chicago's leading florist with over 100 years of meeting the highest corporate service standards, you can remain confident that your corporate atmosphere will always remain fresh and beautiful.